This e-novella is a non-stop thrill ride as three men go on a crazy crime spree across Fort Worth. After setting a fire to distract law enforcement, the armed criminals hold up a bank and steal a city bus. And that’s just for starters! Megan and Brigit put their noses to the ground and the chase is on. But hard as the K-9 team tries to put the clues together and track the men, the offenders stay a step ahead of them, racking up charges and victims. 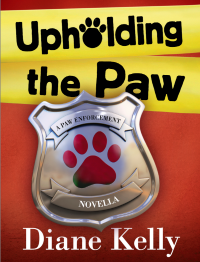 Will this K-9 team be able to stop the bad guys before their trail runs cold?